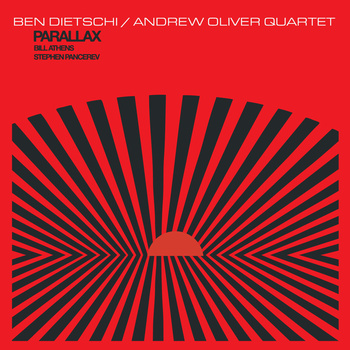 Parallax is a one-off collaboration between PJCE Records co founder Andrew Oliver and Toronto saxophonist Ben Dietschi. After several years playing together in Tunnel Six, Ben and Andrew wanted to explore a new setting involving more free improvisation and spacious compositions. One thing the label is interested in is engendering this kind of new collaboration between Portland artists and musicians from elsewhere and encouraging special one-off recording sessions alongside documenting existing working bands. We hope you enjoy the music!